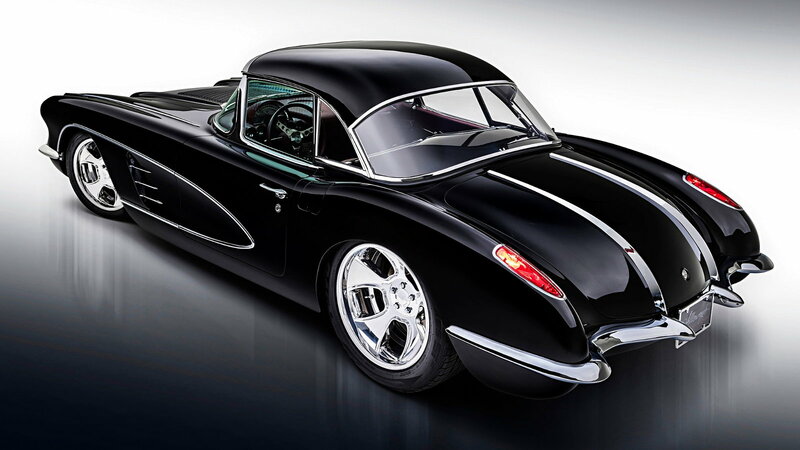 Daily Slideshow: 12 months of fabrication went into making this C1 Corvette into an award-winning hot rod. Larry Olson is no stranger to the hot rod world. 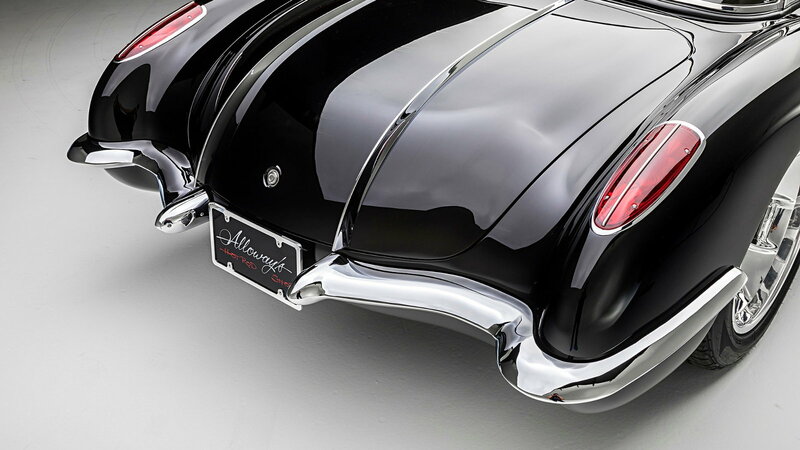 Back in 2015, Larry teamed up with Bobby Alloway to build a classic roadster that went on to win America's Most Beautiful Roadster at the Grand National Roadster Show. So when the time came that Larry wanted to build a car for his wife, he knew exactly where to turn. Larry returned to Alloway's Hot Rod Shop with the idea to build the C1 for his wife Carol. 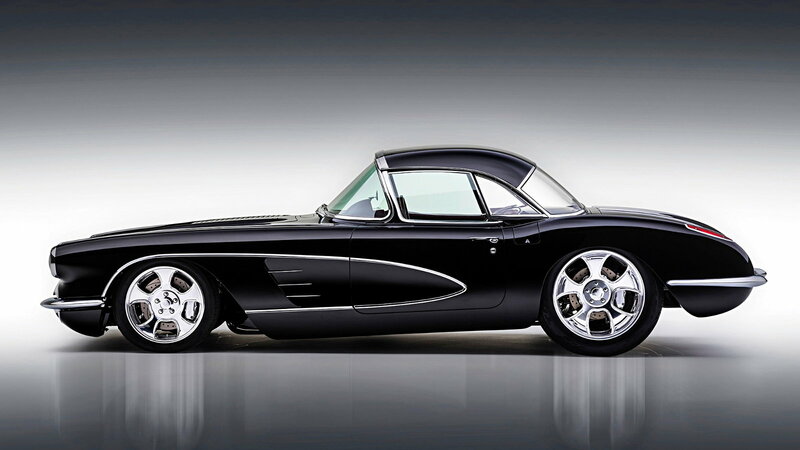 Alloway was no stranger to this idea either, having built a C1 Vette for his wife also. Once the idea had been solidified, the search began for a chassis. The car they found was a slightly rare red and white combo, but there is no need to worry, the car was far from a numbers matching gem. 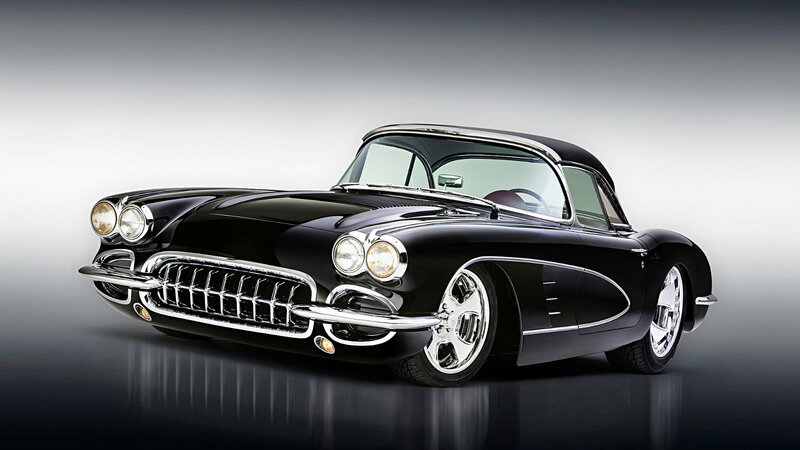 >>Join the conversation on this Hot Rod Alloway C1 right here in Corvette Forum! Once the car was back at the shop it was torn down and work began on the old body. A lot of work was needed, not only in restoration but in the modification department as well. It may not look like it, but many changes were needed for the stock fiberglass on the car to look proper. Most of the work was focused on making the car fit the massive 20x10 rear Billet Specialties wheels with 295/50R20 tires and give the Vette that signature Alloway stance. When it came time to paint the reworked body the choice was easy, black. But not just any black, PPG Alloway Jet Black. The same onyx hue on Larry's award-winning roadster. All the work that went into making sure everybody panel is perfectly smooth is evident in the deep mirror finish. But it wasn't just the top side that received all the attention. Underneath, the body lays a custom spec Art Morrison chassis with a rear 4 link setup holding a Currie 9 inch. While Art Morrison does offer an off the shelf solution for the C1, a custom solution was needed to make sure stance was correct. Every part on the underside was either polished or painted with the same care and finish as the body, of course in Alloway Jet Black. Sending power back to those rear wheels is a 502 c.i. big block Chevy built by Keasler Racing. 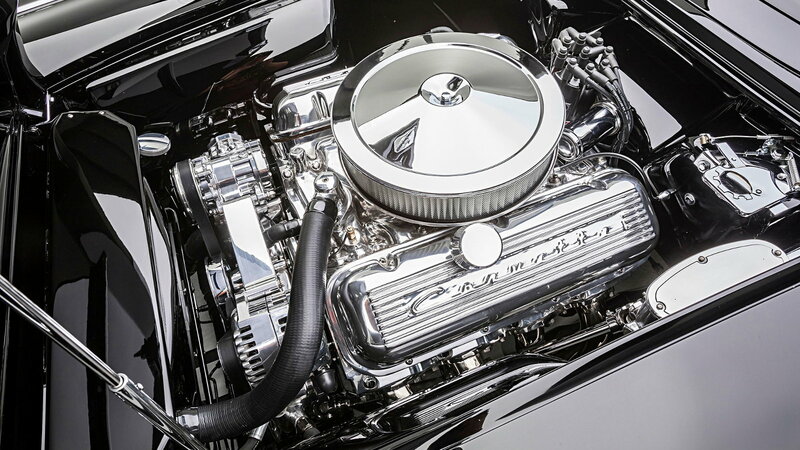 With a built lower end and breathing through a Holly carburetor and Chevy Performance aluminum heads, the big block makes 510 horsepower. If you assumed this C1 had an automatic just because it's Larry's wife's car, you would be wrong. 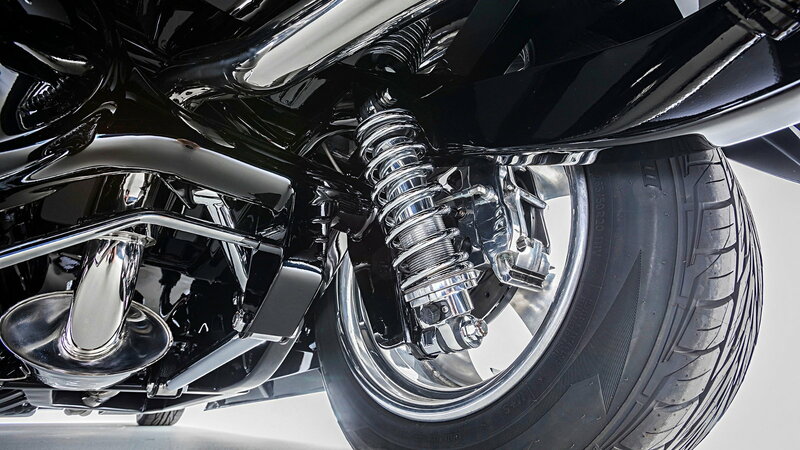 Controlling that power is a Legend Gear & Transmission LGT-700 five-speed transmission. 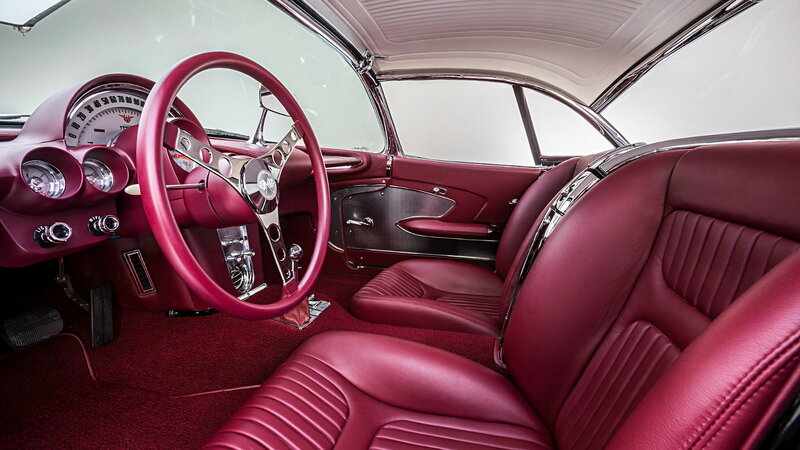 Larry and Bobby were able to let their imaginations run wild with the interior. This is because when the car was first purchased there wasn't a trace of an interior to be found. 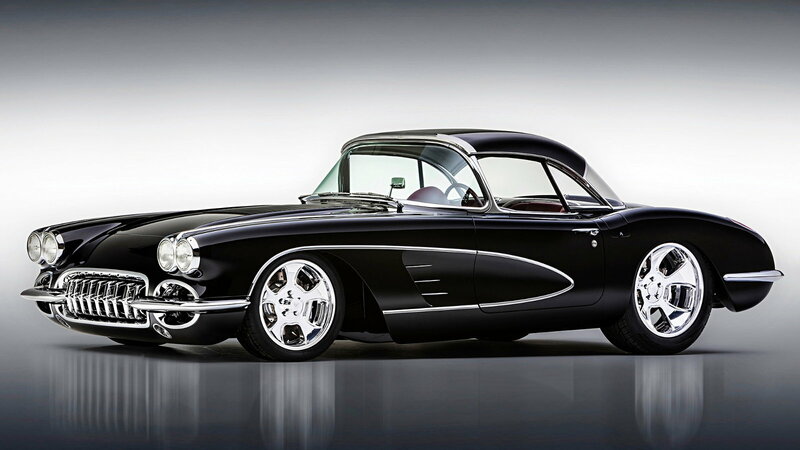 Bobby Alloway called upon Corvette America and Steve Holcomb of Pro Auto Custom Interiors to make the Vette a place you would actually want to spend some time. As with the outside, there are many small changes that at first glance are easy to miss. Things like the shrunken reproduction steering wheel, Classic Instruments gauges and Vintage Air air conditioning setup blend in perfectly and look like factory. Larry Olson and Bobby Alloway went all out in building a perfect C1 for Larry's wife. Now when the Olsons want they can take out both of their Vettes and go for a cruise together. Did I mention Larry has a '63 split window also built by Alloway? I will give you one guess as to what color it is.